StayStaffed understands the staffing problems organizations encounter in today's constantly shifting economic environment. In response, we’ve developed advanced RPO solutions to streamline the staffing process in a multitude of industries including healthcare, IT, and oil and gas to name a few. 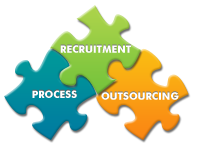 Our RPO services provide an all-encompassing approach to recruitment and human resource outsourcing. Our RPO solutions manage the entire hiring process from job profiling through to the onboarding of new hires with each step given equal weight to make certain you’re adding ideal employees to your organization. StayStaffed is a leader in recruitment process outsourcing companies. We partner with you to develop a labor-force strategy that eliminates the high cost and administrative burdens of in-house recruitment. You'll receive entry to one of the largest network of pre-qualified professionals and agency sourcing channels in the nation featuring active, passive and hidden talent pools. We are able to manage quick, focused, and cost-effective searches and hires because of our database and our agency relationships. Our recruitment process outsourcing solutions employ our exclusive Candidate Direct Marketplace® Vendor Management Services (VMS) that is designed to improve HR metrics including reduced cost-per-hire, decreased vacancy rates, decreased time-to-fill, and improved hiring manager satisfaction. The Candidate Direct Marketplace® VMS provides an easy-to-learn, cloud-based solution to source, recruit, procure and manage your contingent and direct hire workforce. Your staffing process is managed with one consistent recruitment process through a single point of contact. Our comprehensive screening process mitigates your hiring risk by identifying unsuitable candidates before they turn into bad hires. No Cost to Deploy due to Cloud-based VMS and RPO services. Our recruitment outsourcing program is a partnership that offers you lower hiring costs due to economy of scale as well as an improved economy of scope that results from our highly-skilled recruitment specialists. Our human resource outsourcing partnership allows HR managers to focus on improving their organization’s workforce while we take care of recruiting high-quality professionals. RPO services allow you to leverage your sourcing and recruitment assets under one authority through our Managed Service Provider (MSP) program. Find out how your organization can lower costs while increasing hiring quality with a 15-minute, no-obligation online product demonstration. Get Started today or call 800.585.1710 to speak with a representative about our recruitment process outsourcing solutions.